From experience, businesses that take the time to compile a detailed marketing brief are more likely to achieve their goals. This is, in large part, due to the fact that they have considered where their business stands within their industry and subsequently have a better understanding of what they want to achieve. Whether it is the first time you are engaging with an agency to plan your annual marketing activity, or you are reviewing your current activity in order to achieve more, a marketing brief is a must for the majority of businesses. The prospect of writing a marketing brief can, however, be a rather daunting prospect for many. Over the years we have had many companies approach us with briefs that don’t cover vital aspects. If you are looking to compile a brief for your business, take a look below as we explore the five stages for writing an effective marketing brief. Provide a background of your company and brand, along with a comprehensive overview of your products and services. This gives a marketing agency a much clearer idea of your industry, to subsequently make more informed recommendations. Be specific on the goals you want to achieve from your marketing. More traffic to your site? More conversions? 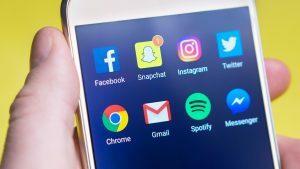 Increased followers on social platforms? And if so, by how much? Once you have identified these you also need to consider realistic timescales for these goals to be achieved. In order to achieve any success in marketing, you must direct it to the correct audience. Therefore, when writing your marketing brief, discuss who your audience is, and what your business does to benefit them. Every business has a competitor, and for marketers, researching a business’ competitors can provide valuable insights into what does and does not work for the industry. Consider various aspects of competitors, such as social media, website, content and reputation within the industry. Deciding upon an adequate budget is essential when it comes to your marketing brief, this provides a thorough indication to a marketing agency, on what activity would ultimately bring desired results. 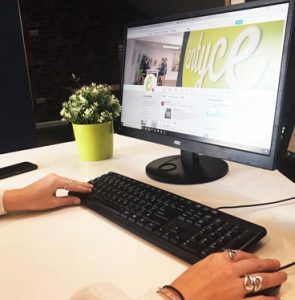 Once briefed and marketing agency chosen, there are a number of ongoing requirements that you should keep in mind to ensure that it is an effective partnership. Regular meetings are an essential aspect to any business relationship, particularly when it comes to marketing, as it not only provides insight into how your strategy is progressing, but also to ensure both parties are working towards the same goal. In addition to this, ensure your agency has a point of contact within your business, who can inform them of any updates or event throughout the month. Do you have an upcoming marketing project you would like to discuss? 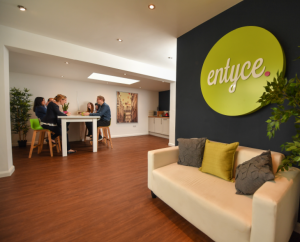 Contact the Entyce team today on 01244 310 140 or email hello@entyce-creative.com.